Walt Disney DVD Covers - The Little Mermaid: Platinum Edition. 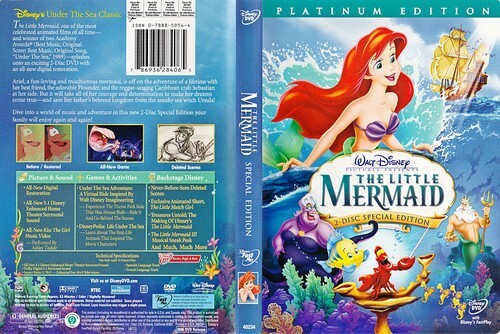 Walt Disney DVD Cover of The Little Mermaid: Platinum Edition. HD Wallpaper and background images in the Walt Disney Characters club tagged: walt disney characters walt disney dvd covers walt disney platinum editions the little mermaid princess ariel ursula sebastian flounder. This Walt Disney Characters photo might contain anime, comic book, manga, and cartoon. Walt Disney Wallpapers - Happy Birthday!